Rosa on Garlic Giveaway Winners! therunninggarlic on Garlic Giveaway Winners! Pamela on Garlic Giveaway Winners! I still consider myself to be in the learning stages with my Apple Mac and I am making it a habit to use it even for the simple searches or mail checks. If I don’t use it I will never learn all the fantastic features it contains. I did purchase the iWork when I first purchased the computer, so I have been dabbling around with iPhoto. I reasoned to myself though if I am in this learning mode at present, I may as well throw more into the equation, so I now also have Adobe Photoshop. I received the software yesterday along with the Missing Manual for it and am excited to dive in! If you have been following along with the Post A Day challenge and my blog, you may have noticed my list of topics for each day is gone. What I found happening was that I was trying to follow the outline of topics exactly and I was feeling pressed to come up with a new craft or tech idea to write about and, quite honestly, it wasn’t fun. 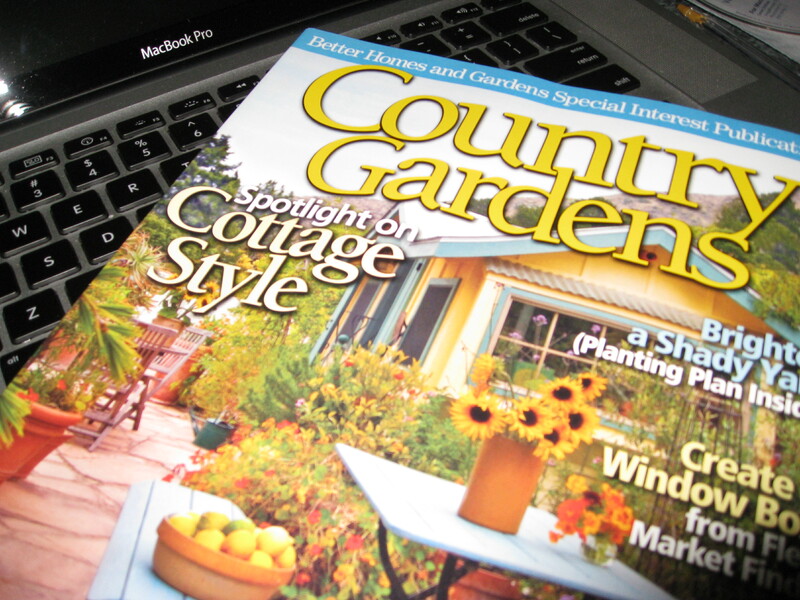 My topics were great and definitely part of what I do, but if you notice my posts have become more centered on photos, recipes and now with the gardening season upon us…much more gardening! I still haven’t missed a day although there are gaps. These are filled by my other blog GardenDish with gardening recipes which will become more frequent. 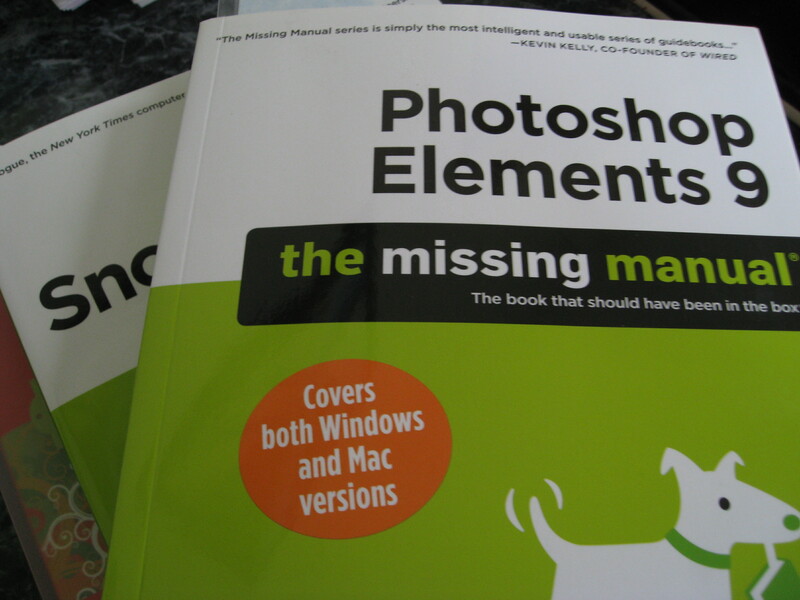 …and gosh, who knows where this new Photoshop will send me. So like an evolving diary … my blog keeps learning and moving on to new facets in life. The one underlying lesson I am taking away with this challenge is not to limit myself and to write about what I am passionate about – it is much more interesting. Since that changes (almost weekly) you will never know what to expect next. For now it’s ……. Gardening, Photos and some good ole’ healthy eating. Thank you for your patience as I shift gears a bit. One more note – it seems using the air card brings me back to prehistoric time and my computing is slow and although I can check in … there is not a whole lot of browsing and commenting I am able to do. My trips and air card use will be on the increase and I can read most …. very slowly and very patiently. 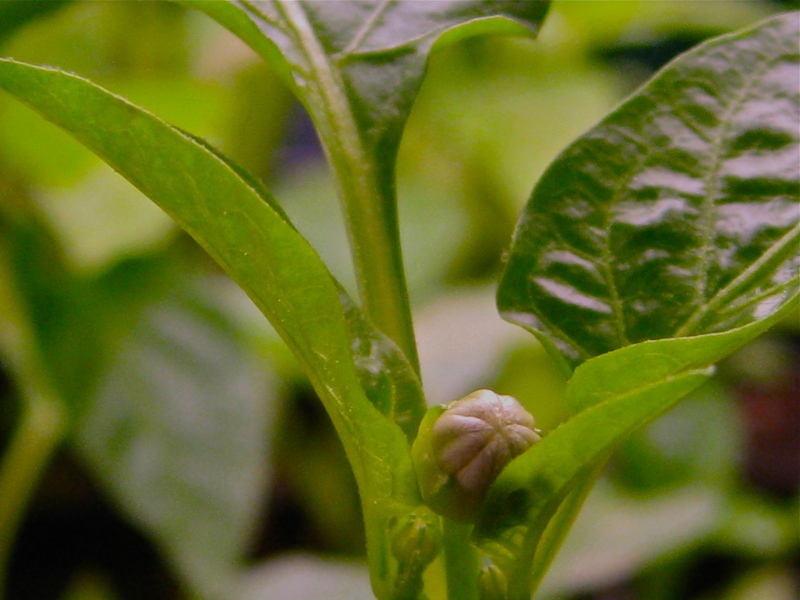 I planted my pepper plants back in the beginning of December – the 6th to be exact. So it’s been a bit over 3 months and flowers are starting to develop. 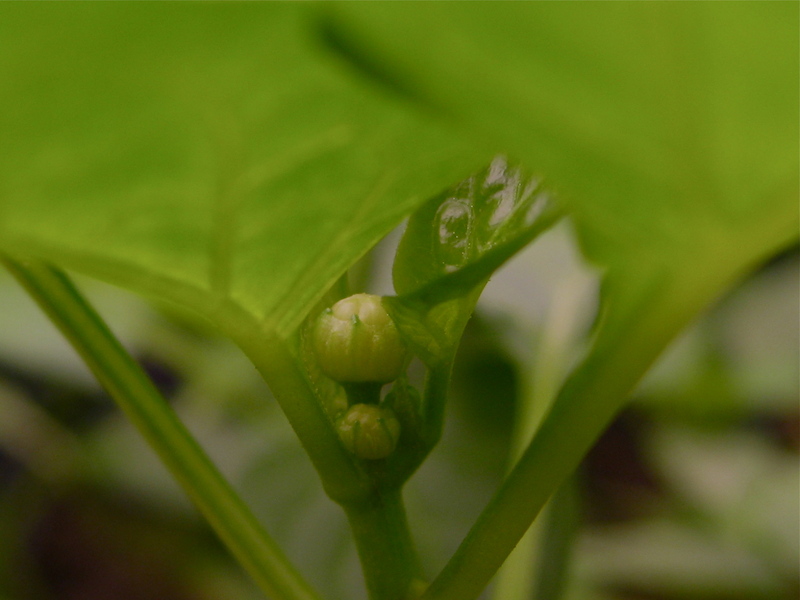 Since I still have another 3 months before the frost will be gone for good here I may have to take on the task of some pollinating with these peppers. 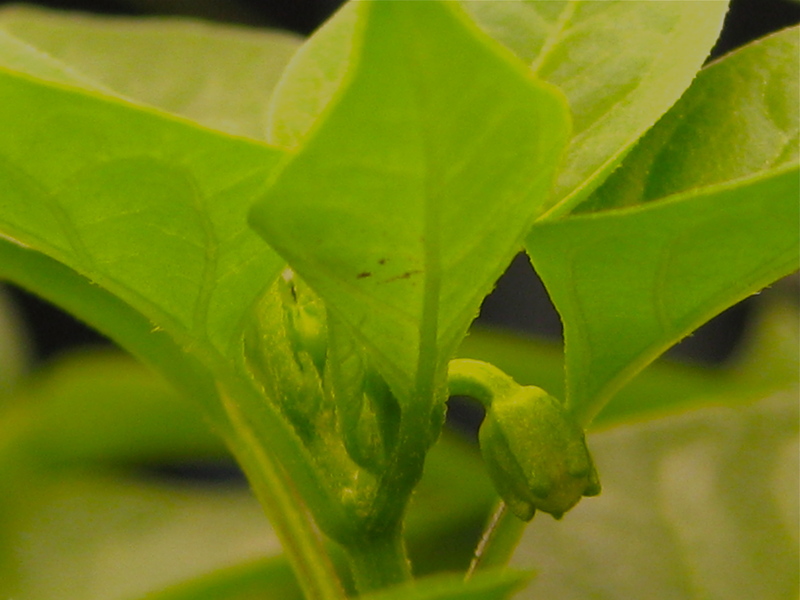 Normally, outdoors the peppers will pollinate on their own between the bugs, bees and wind helping the situation – indoors, is another story. 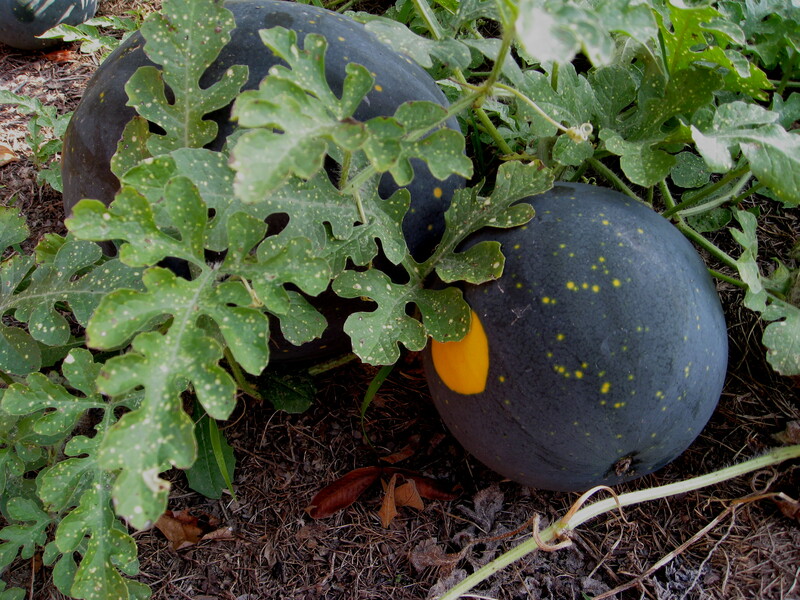 I have helped along my gourds the past 2 years since I wanted to guarantee a good harvest. Once the flowers fully develop and open all that is needed is either a small paintbrush or a q-tip. Simply swipe the pollen from one flower to the next and keep doing this randomly – you can pretend to be a bee buzzing from flower to flower. 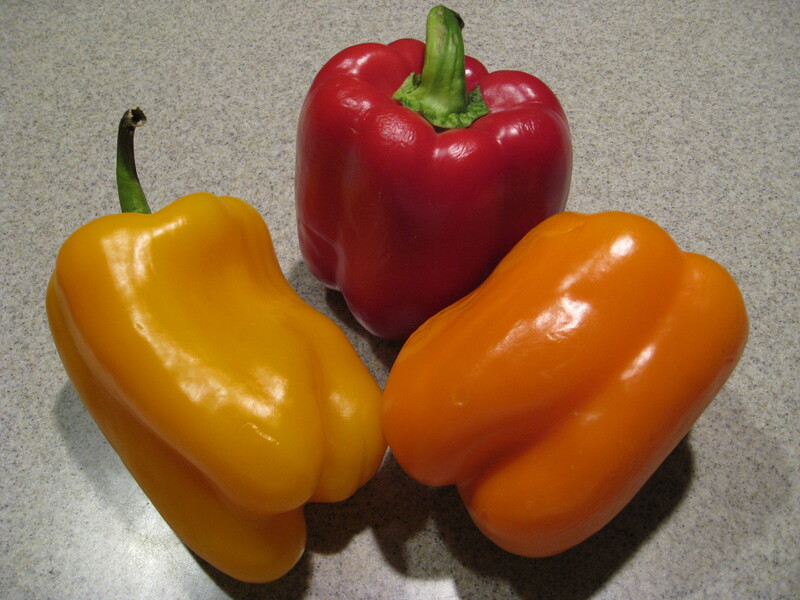 A while back I wrote and published this great post titled Peppers Planted and I am looking forward to making the Red Pepper Soup once again. It is simply delicious with the Alma Paprika Peppers adding just the right kick of heat and flavor. A recent arrival in the mail made my day this past week – a new magazine …..
Green beans are good for you, easy to grow in the garden and the bunnies will devour them before you have a chance to wink your eye. They don’t seem to care that you spent hours planting, weeding and watering your beans anticipating the day of harvest. They will even stare you in the eye as they munch away oblivious to the fact that this is YOUR garden and not theirs! 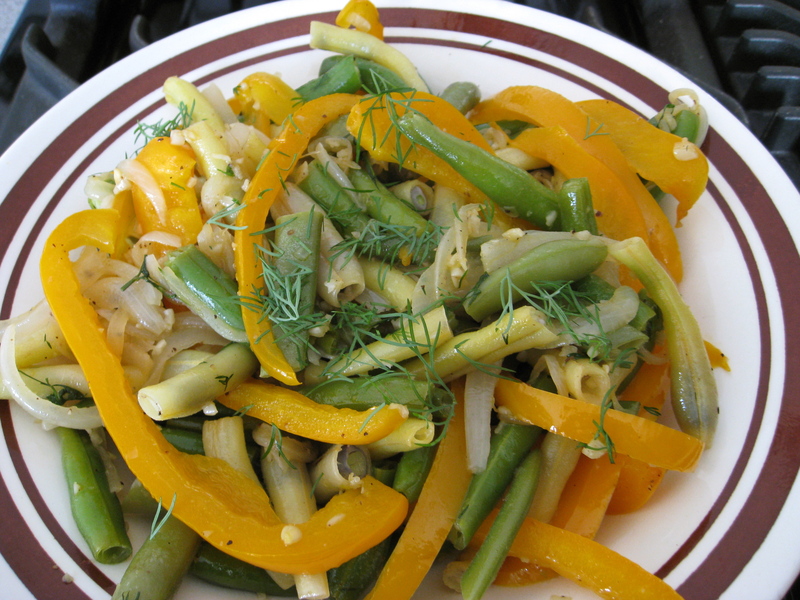 There are quite a few greens bunnies love and green beans are on the top of their list! I established a new garden out in the far part of the yard several years ago and although I had it fenced in …Mr. or Mrs. Bunny found a way in and enjoyed every single bean growing. 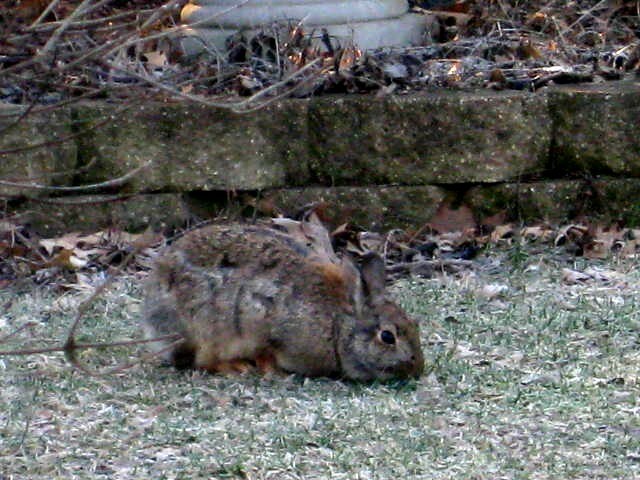 I would see movement and run out waving and yelling only to arrive and see the bunny still munching and going no where quick – just looking at me like I was some half crazed human. You would think scary Gargoyle would have the situation under control. Needless to say, that year I had no beans and actually removed the whole garden out that way, since it was too far to keep an eye on. The year before a squirrel climbed in and had a daily party with the Blue Corn growing. 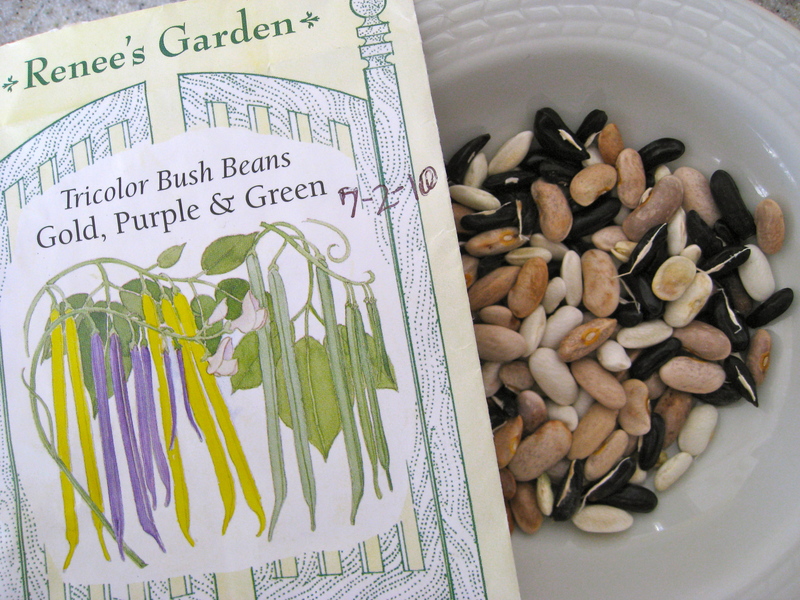 Last year I planted TriColor Bush Beans from Renee’s Garden close by and had a nice assortment for freezing. I will be adding a post to GardenDish this week with some of the frozen beans I have packaged up. 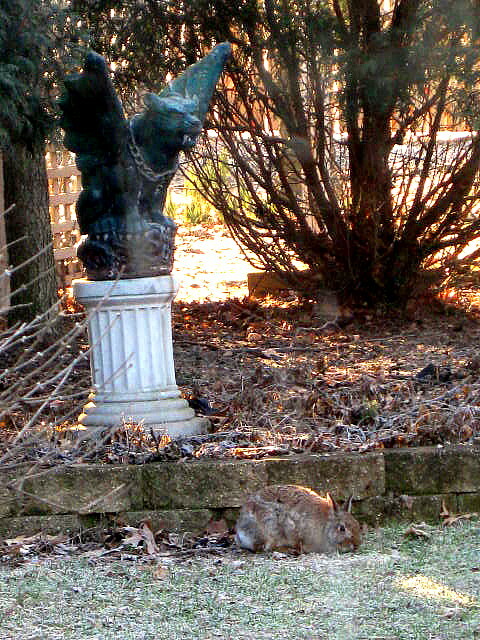 Beans are easy to grow – just keep the area fenced in if you happen to have a bunny or two around. Plant the seeds directly outdoors when the soil has warmed and the danger of frost has passed. Plant 1″ deep and 3-4″ apart in rows 1 1/2 – 2 ft. distance. Planting seeds several weeks apart until the end of June will assure a continuous harvest throughout the season. There are many different varieties and types of beans from bush to pole to snap beans and dried beans. Try some different types and you will discover some new and exciting dishes to serve. Grow some Beans … just watch for those Bunnies! 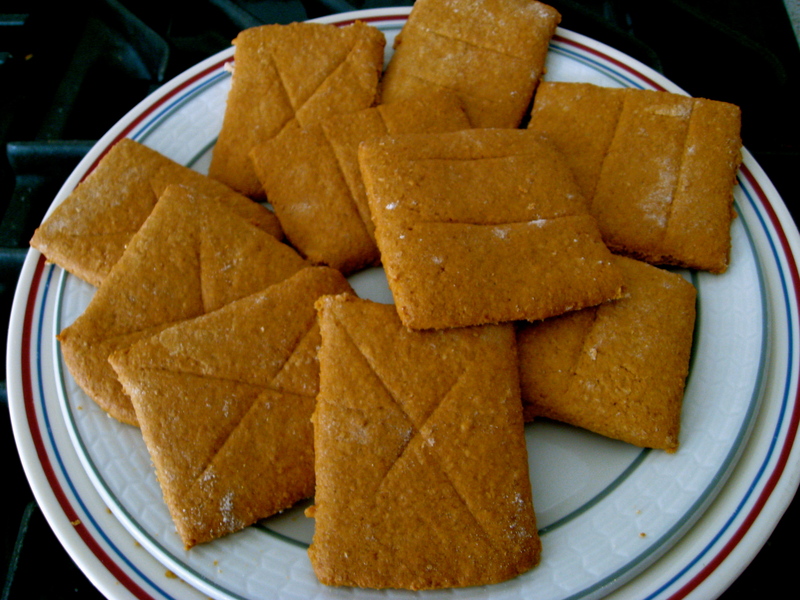 I have always wondered how to make Graham Crackers and finally came across a recipe and guess what……they taste just like store-bought graham crackers! Once again I left the topping off, but if you want the total graham cracker experience, sprinkle on the topping! Combine flour, brown sugar, baking soda and salt in bowl of mixer. Mix to incorporate. Add butter and mix on low until consistency of coarse meal. In a small bowl, whisk together the honey, milk and vanilla extract. Add to the flour mixture until dough barely comes together. It will be quite sticky. Lay on large piece of plastic wrap, dust with flour, form into rectangle 1″ thick. Wrap and chill for 2 hours or overnight. When ready to make crackers – roll out half the dough; returning other half to chill. Layer down the flour (very sticky to work with until you get the flour integrated in). Roll dough 1/8″ thick. Cut the dough into squares and place on baking sheets. Chill again for 30-45 minutes. You can use the knife and make line indents to resemble the graham cracker look (see pictures). Bake 20-25 minutes on 350 degrees depending on thickness. Watch carefully so they don’t burn! I created some shapes with cookie cutters. Head on over to Munchie Monday to see more recipes or add one of your own! Enjoy!! The past two years I have grown Watermelon in my garden – Moon and Stars to be more specific. It is very sweet and the name is derived from its appearance. 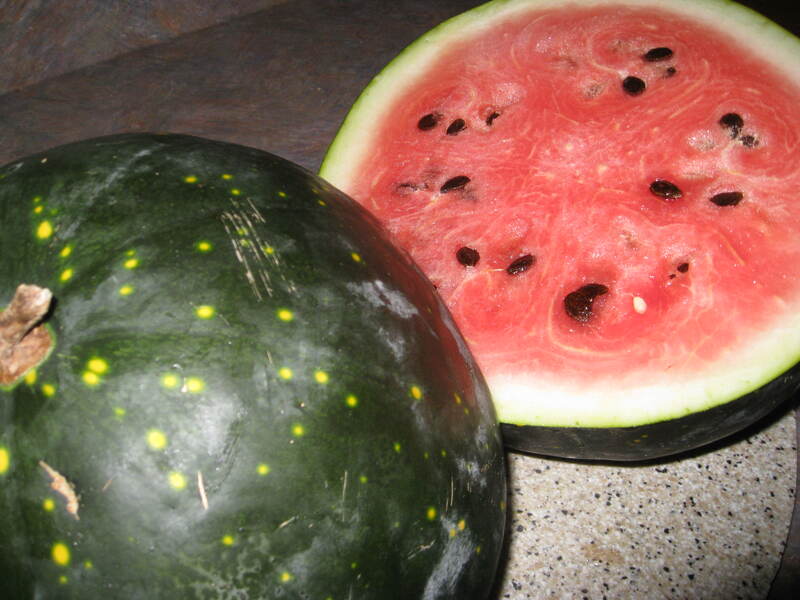 In the photo above you can see a large yellow spot (this is the Moon) and all around the Moon are Stars which can be seen below on the outer skin of the watermelon. 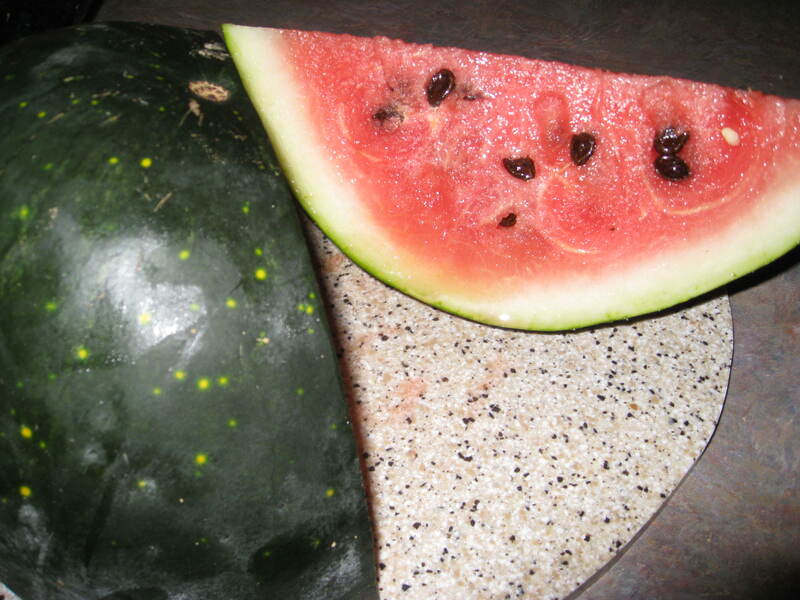 The melon grows the size of a large basketball and the very first watermelon I harvested was not ripe! I was overly excited and I checked every day to make sure it was still doing well. Finally I couldn’t take the wait any longer and convinced myself it was ready – it wasn’t; the inside was still pale yellow. If you research finding the right time to harvest, you will see the thump method (which I don’t quite understand yet) and the spot on the ground turning yellow/orange method. What I did was counted the days on the seed pack and marked that on my calendar. This was the date I aimed for harvesting watermelon and I have been successful. You do need quite a large area to grow watermelon since the vines do take on a life of their own and grow and grow! Melons also require a growing season of 90-100 days so if your season is shorter, you may want to start a few seeds indoors. They should be transplanted out when the soil is warm. I started indoors and lost a few in the move so plant extra if you plan to start seeds indoors. Plant in a sunny location and make sure they are always watered. This year I will be planting a few up North and hopefully have enough time for a successful harvest. The area further down South has about a month or so more growing time and I know they grow tons of watermelon down there. Last year during one of our trips back and forth, we spotted a huge truck packed with melons ….. I thought what a good photo that would be! Maybe this year I can get that shot! Since winter time is not the usual season for enjoying a fresh watermelon from the field, I posted a Watermelon Cookie recipe to bide us over until we can get our hands on the real thing! Make up a batch and Enjoy as you dream Watermelon Dreams! Janae Monir = pizza dough – everyone needs to know this! Party Pretties from Erin – perk up that party…neat website! Beautiful Chocolate and we know how I love this! Seasonal Kitchen – an organic and natural food blog .. right up my alley ..
First Look, Then Cook – another cool name and great recipes! Treshop’s recipe for Scarlet Barley …can we say – healthy! A groovy granola recipe from Somethin Yummy … snack on this! If you are looking for some good food recipes, stop by the blog and have a look around. If you write a good food blog, here are a few tips if you would like to be featured on FoodPress Five ways to get featured on FoodPress. Happy Feature Friday …. if you have a good idea for a Friday feature, let me know! Do make sure to round up a good recipe to share this coming Monday on the newest blog I have created Munchie Monday! Who knows maybe one day FoodPress will feature all the recipes shared there! 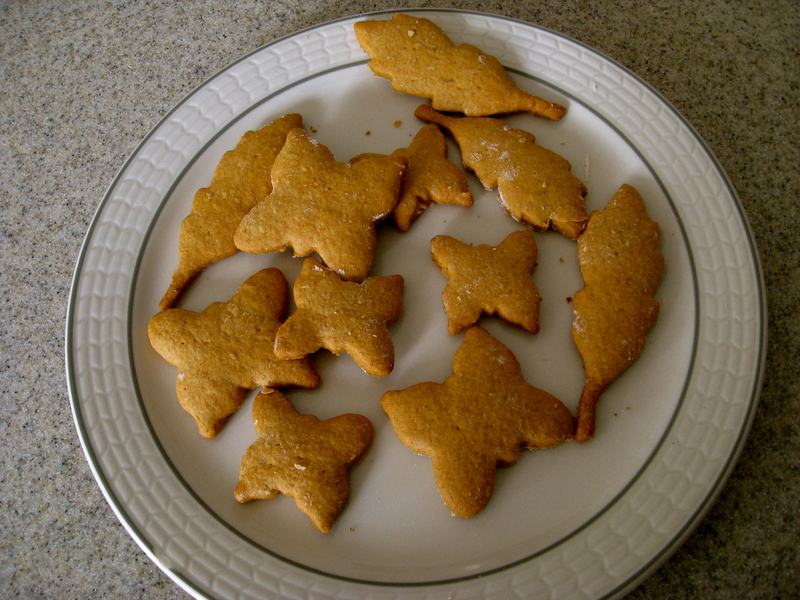 I just recently set up another new blog for “Munchie Monday” and I created it in a matter of minutes. I must be getting good at it, eh? Actually the more you work with something, the better and quicker you get at achieving your final results. I do have a few blogs … this one, The Running Garlic, the one I just created for Munchie Monday and Garden Dish. These three will be the blog triangle I work within. There are a few others I have created in the past…all a learning experience and although they still remain intact, my interests have evolved. I remember being quite intimidated by this whole blog concept and publishing my first post was such a scary experience. The hesitation before clicking that “Publish” button was REAL and finally telling myself to “Just do it” was such a dramatic achievement. Now I rarely hesitate once I am ready to Publish. That speaks volumes to me about getting out there and doing something we are unfamiliar with. I must admit I do try to learn all I can about subjects that interest me, but I think the tricky part with blogging is – You have no clue who is reading your words and you most definitely do not want to make a fool of yourself (even though you don’t know who you would be making a fool of yourself in front of). It’s that fear and that funny voice in our heads creating doubt. Needless to say, I won out over that voice and since participating in the Post a Day Challenge I really enjoy my blogging. I am excited to add content to the other blogs because I know it will be fun! I have also found that I go out of my way to experience different things or take photos that I never would have if I didn’t have a blog to talk about the experience. So if you are thinking of setting up a blog, I encourage you to do so. No one needs to read it. I am betting though by the time you experience the ease and the fun that blogging adds to your life, you will be anxious to share it with ….. whoever is reading it out there!